With more than 5,000 kilometres of beauty from coast to coast, it’s no wonder many Canadians are such fans of summertime road trips. 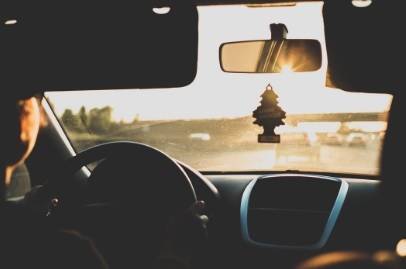 Whether you’re heading down to Nanton for some antiquing, or making the trek to Lake Louise, there are a few ways to ensure time spent on the road is a breeze. A good place to help you prepare is OK Tire. OK Tire has been servicing Canadian auto owners since 1953, and what started as a group of individual tire retailers is now the largest independent tire and auto service retailer in Canada. There are over 300 independently owned locations coast to coast, and this continues to grow. Vehicle maintenance. Your tires, brakes, steering and suspension should all be professionally checked to confirm they’re running smoothly. Poor performance from any of the above can spell danger when your trip calls for high speeds, bumpy roads or quick stops. The expertise of OK Tire’s auto specialists can help make sure your car is as safe as possible. They offer service, repair and name brand tires, allowing them to service and repair every part of your car. Their seasonal vehicle maintenance services include wheel alignment, ride control inspection, fluid and brake checks, and more. Have an emergency kit handy. Your kit should include: non-perishable food, bottled water, washer fluid, a spare tire, jumper cables, jack and tool kit, first aid supplies, flares, candles and matches or a lighter, flashlight, batteries and your cell phone charger. Keeping this small yet crucial kit with you could help to avoid a roadside disaster. Top up. Keep your eyes peeled for the next gas station when your fuel drops to one quarter full. Don’t risk unusually long distances between stations that may cause delays in your road trip plans because your vehicle can’t take you any further. Have a backup set of keys. How frustrating is it when you’re ready to leave the house and can’t find your keys? Now imagine that happening when you’re a hundred miles from home and can’t go anywhere. You will thank yourself later for this foresight. Have all necessary paperwork on hand. Keep your owner’s manual, registration, license and proof of insurance with you – and ensure they are valid for the length of your trip. If you don’t have your vehicle’s manual anymore, most automakers offer PDF versions online. And while being cautious is an important part of road-tripping, so is having fun. What’s a road trip without plenty of drinks, snacks and music? OK Tire has created the perfect playlist packed with road-trip favourites to help make your journey that much more enjoyable. Prepare for the upcoming summer adventures with a visit to OK Tire today. You can find your local OK Tire location here. This entry was posted in Uncategorized on May 25, 2018 by Calgary's Child.